Steve was recruited in February 2016 to head up Oakpark Cleaning Services on a day-to-day basis. He is responsible for all aspects of Operational and Commercial performance, including staffing, business development and compliance. Management services. His experience includes providing FM services for care homes, utilities companies, prisons and local government organisations. 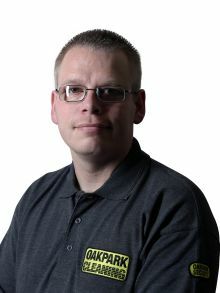 Steve has completed a range of specialist industry training including IPAF and PASMA (working at height), CSCS (working in the construction industry), and ProChem (carpet cleaning and hard floor maintenance). 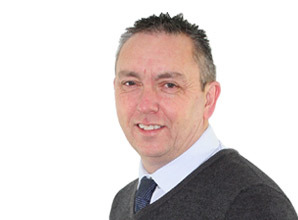 Tim is responsible for supervising our frontline staff across Essex and Suffolk. He carries out daily checks across our portfolio to ensure that standards are being maintained for our customers. He provides mobile support for customers and staff alike, coordinating the delivery of consumables and supplies to our workforce and transporting specialised equipment and machinery when needed. He is also the lead for Oakpark Cleaning on responsive FM work such as minor repairs, painting and emergency cleans. Have a question for our experienced team? Or not sure which cleaning service you need?